For clearing snow from paths, drives, yards etc. Unsuitable for use on Gravel. Robustly made from high quality Steel, with a 750mm wide angled Snow Blade and 160mm dia stout polyurethane guide wheels. 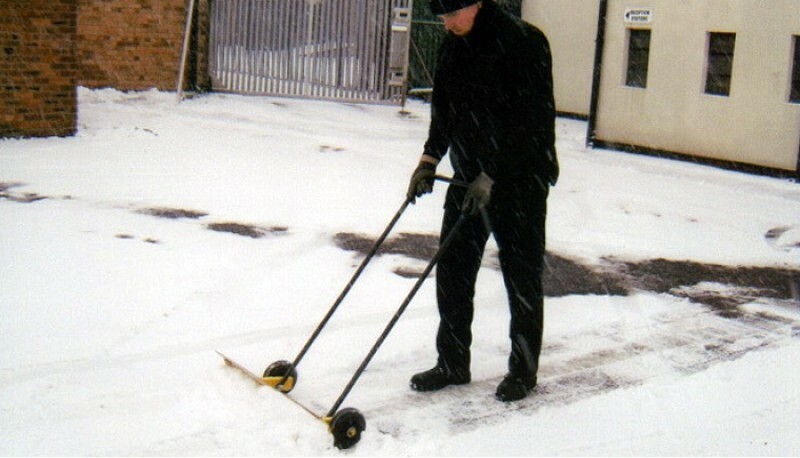 Removes snow up to 150mm thick. Easy reversible angle rake, just flip over the handle. 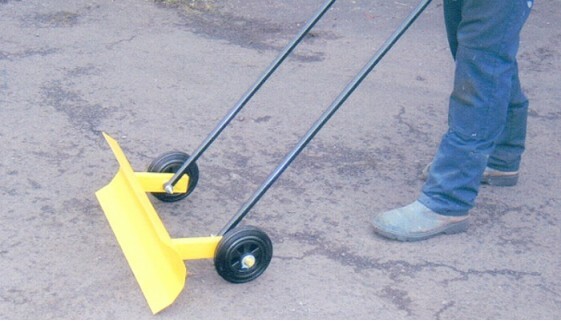 1100mm long angle to prevent the stooping associated with conventional shovelling.